We’ve been frequent critics of Amazon’s tactics in conquering established book markets, but credit is due to the company for doing what many would have considered impossible: creating a genuine market for novellas and novella-length nonfiction. In the New York Times this morning, Leslie Kaufman profiles Kindle Singles editor David Blum and cites Amazon’s statistic that about 28 percent of the 345 Singles published since January 2011 have sold more than 10,000 copies. Kindle Singles are a curated list of short e-books (5,000 to 30,000 words in length) available through Amazon’s Kindle Store. Though publishing arrangements vary — some Kindle Singles are published by traditional publishers, others are self-published or put out by an emerging group of new publishers, such as Byliner — authors may earn as much as 70% of the proceeds from sales. Since bestselling Kindle Singles sell for an average price of $1.50 or so, a self-published author selling 10,000 or more Singles would likely earn revenues of $10,000 or more. The current bestseller list of Kindle Singles includes many familiar names writing in genres that do particularly well in e-book form — including crime fiction and thrillers. What’s especially welcome to authors and freelance journalists is the healthy number of nonfiction titles on the list. These include works of history (#4, Mayflower: The Voyage from Hell, by Kevin Jackson; #16, Always Right, by Niall Ferguson), memoirs (#15, Dresden: A Survivor’s Story, by Victor Gregg), essays, and long-form journalism (#3, Trial By Fury: Internet Savagery and the Amanda Knox Case, by Douglas Preston; #13, Guns, by Stephen King, who’s donating proceeds to the Brady Campaign to Prevent Gun Violence). Writing on science also makes a credible showing on the Kindle Singles bestseller list (#43, Higgs Discovery, The Power of Empty Space, by Harvard physics professor Lisa Randall), as do works Amazon categorizes as reporting (#29, Here’s the Deal, by David Leonhardt). 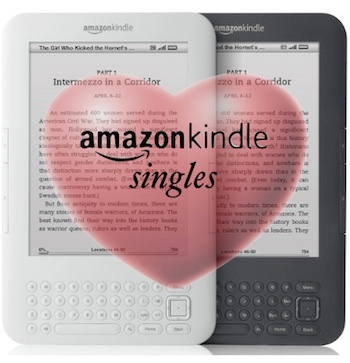 It’s early days for Kindle Singles, too early to judge the eventual breadth and depth of this market. According to Amazon’s own numbers, just 100 Singles have sold more than 10,000 copies so far. But the trend, by all accounts, looks promising: Amazon is curating a new, significant short e-book market for authors and readers. Originally published on Blogging Authors as "Top 5 Online Resources for Science Fiction Writers." Of all the fiction genres, sci-fi – aka speculative fiction — stands as the one most likely to inspire devotion. Sci-fi buffs are die-hards. That’s because sci-fi authors are required not just to do world-building, but to do universe-building. That’s real escapism. Traditionally, a background in science has been virtually mandatory for sci-fi writers, and there are still many sci-fi magazines that require a strong scientific element in their published stories. But, as the concept of “science” has marched on to include not just the “hard sciences” (notably, physics and biology) but the social sciences (anthropology, sociology, history, and, to a certain extent, linguistics), sci-fi has matched pace. At this point, the subgenres are almost too numerous to name: cyberpunk, steampunk, apocalyptic, dystopian, space opera, spy-fi, and “soft sci-fi,” which originally meant anything written by a woman. (For decades, sci-fi has been an all-male club.) Naturally, such a variety allows for considerable leeway, not just in what may be considered sci-fi, but how to write it. There is perhaps no other genre that has encompassed such a broad range of writing styles and voice. How lucrative is the sci-fi market? It’s hard to say. Compared to romance novels, which generate a huge amount of revenue, sci-fi is a country cousin. But, what the sci-fi market lacks in big bucks, it makes up in sheer rebellion. As a case in point, Hugh Howey sold the print rights to his self-published underground sci-fi hit, Wool, to Simon & Schuster for a “mid-six-figure” advance. Howey had turned down “multiple” seven-figure advances because he’d already raked in over a million dollars of royalties from his eBook, and he was determined to keep electronic rights. And Howey isn’t the only word-of-mouth wonder in the sci-fi world. This is a genre that thrives in the dark, subterranean alleys of the net, exploring strange new worlds, seeking out new life and new civilizations, and boldly going where no man, woman, or cyborg has gone before. These sites will help you on your mission. You may think it doesn’t get much better than saving the world, but it does. Their resources list is the most comprehensive I have ever seen. Here you will find websites for writers, teaching and scholarly resources, awards, magazines, review sites, anthologies, fandom, blogs, artists, conferences, author websites, and more. When you are done browsing this site, I guarantee you will feel as if you are not in Kansas anymore. This site is shamelessly geeky. However, it contains the most complete catalog of science fiction, fantasy, and horror you will find anywhere. It links together various types of bibliographic data: author bibliographies, publication bibliographies, award listings, magazine content listings, anthology and collection content listings, and forthcoming books. You can find a huge list of magazines and fanzines on this site if you are interested in submitting short work, as well as publishers, awards, and statistics. The University of Michigan's Fantasy and Science Fiction website features a list of sci-fi and fantasy sites, a library where you can read science fiction ebooks, films, a dictionary of symbolism and research tools. It is not as well organized, or as broad in scope, as the Gunn Center’s page, but there is a greater focus on contemporary sci-fi magazines, fan pages, and review sites, which makes this list quite useful to those trying to get stories published. This is simply the best blog list out there. There isn’t a blog on this list you shouldn’t read. That being said, start at the top and work your way down. (You will notice that SFsite is at the top. There’s a reason for that.) The advantages of reading good blogs about your genre (and others) are almost too numerous to list - great writing tips, the latest news, reviews, entertaining stories, all the industry scuttlebutt - but essentially all these benefits boil down to one thing: you will not know what is going on in your field unless you read these blogs. Being up to date is something all agents and publishers expect of writers. SFWA is the professional organization for authors of science fiction and fantasy. Past and present members include Isaac Asimov, Anne McCaffrey, Ray Bradbury, and Andre Norton. It goes without saying that if you join SFWA, you will be in good company. In their own words: “SFWA informs, supports, promotes, defends and advocates for its members. 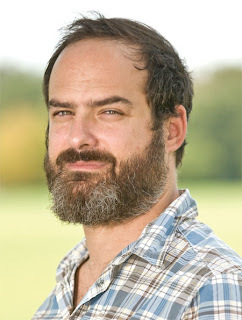 We host the prestigious Nebula Awards, assist members in legal disputes with publishers, and administer benevolent funds for authors facing medical or legal expenses. Novice authors benefit from our Information Center and the well-known Writer Beware site. SFWA Membership is open to authors, artists, editors, reviewers, and anyone else with a professional involvement with sci-fi or fantasy. Affiliate membership is $70 a year. Professional membership is $90. WWE has everything about Speculative Fiction, including compilations of Hugo, Nebula, Locus, Clarke and Stoker Award lists, sci-fi classics, book reviews, author interviews, and a complete list of publishers of science fiction. News about science fiction publishing and coverage of new science fiction books and magazines. 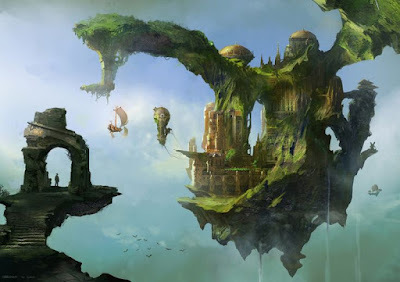 The site also provides a chronological listing of upcoming science fiction, fantasy, and horror conventions, conferences, and symposia; author events; sci-fi awards database; and a huge sci-fi index (books, magazines, anthologies, collections). David Brin's list of websites includes magazines, links to resources, books, centers and museums, podcasts, and a whole lot more. 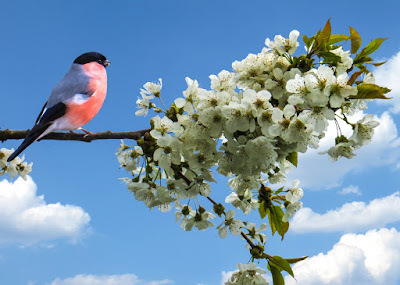 An April 16 Washington Post article captures the key to self-publishing success. If Colleen could do it, so can you. "SULPHUR SPRINGS, Texas — After a feverish month of inspiration, Colleen Hoover had finally fulfilled her dream of writing a book. With family and friends asking to read the emotional tale of first love, the married mother of three young boys living in rural East Texas and working 11-hour days as a social worker decided to digitally self-publish on Amazon, where they could download it for free for a week. “I had no intentions of ever getting the book published. I was just writing it for fun,” said Hoover, who uploaded “Slammed” a year ago in January. Soon after self-publishing, people she didn’t know were downloading the book — even after it was only available for a fee. Readers began posting reviews and buzz built on blogs. 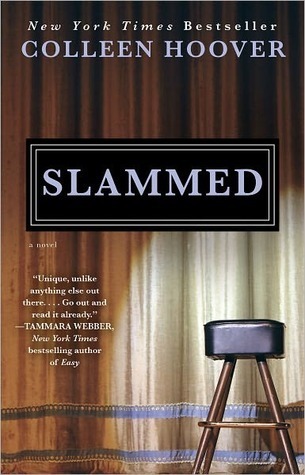 Missing her characters, she self-published the sequel, “Point of Retreat,” a month later. By June, both books hit Amazon’s Kindle top 100 best-seller list. By July, both were on The New York Times best-seller list for e-books. Soon after, they were picked up by Atria Books, a Simon & Schuster imprint. By fall, she had sold the movie rights." Read the rest of this fascinating story HERE. This fabulous article appeared in the Wall Street Journal as "Sci-Fi's Underground Hit." Make sure you read the whole article, to the very last line. It will inspire you. 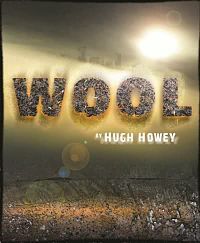 "Hugh Howey's postapocalyptic thriller "Wool" has sold more than half a million copies and generated more than 5,260 Amazon reviews. Mr. Howey has raked in more than a million dollars in royalties and sold the film rights to "Alien" producer Ridley Scott. "I had made seven figures on my own, so it was easy to walk away," says Mr. Howey, 37, a college dropout who worked as a yacht captain, a roofer and a bookseller before he started self-publishing. "I thought, 'How are you guys going to sell six times what I'm selling now?' "
It's a sign of how far the balance of power has shifted toward authors in the new digital publishing landscape. Self-published titles made up 25% of the top-selling books on Amazon last year. Four independent authors have sold more than a million Kindle copies of their books, and 23 have sold more than 250,000, according to Amazon. Publishing houses that once ignored independent authors are now furiously courting them. In the past year, more than 60 independent authors have landed contracts with traditional publishers. Several won seven-figure advances. A handful have negotiated deals that allow them to continue selling e-books on their own, including romance writers Bella Andre and Colleen Hoover, who have each sold more than a million copies of their books." It’s not often you get to find out exactly how many books you have to sell before you can call yourself a “best-selling author.” Take a guess. Tens of thousands? Hundreds of thousands? Millions? In a revealing interview on the A.V. club, best-selling author Neal Pollack not only gives us the inside skinny on his own numbers, but the inside skinny on what it means to be a “success.” Big publisher, six-figure advance, media hype? It turns out it’s all relative. If 10,000 copies is a measurement of success, then I can pat myself on the back. But, in spite of what you may hear, numbers aren't everything. Like Pollack, I’d like to see my book on a shelf somewhere, someday ... before I die. Incidentally, I would also like to be proud of what was between the covers. And, if I were Neal Pollack, I would be. Your values to become monetary. Yesterday, The New York Times published an op-ed piece by Authors Guild president, Scott Turow. If you've been wondering how Amazon's proposal to sell used ebooks will affect the slew of self- published authors, it isn't a pretty picture. "The Slow Death of the American Author"
"Last month, the Supreme Court decided to allow the importation and resale of foreign editions of American works, which are often cheaper than domestic editions. Until now, courts have forbidden such activity as a violation of copyright. Not only does this ruling open the gates to a surge in cheap imports, but since they will be sold in a secondary market, authors won’t get royalties. This may sound like a minor problem; authors already contend with an enormous domestic market for secondhand books. But it is the latest example of how the global electronic marketplace is rapidly depleting authors’ income streams. It seems almost every player — publishers, search engines, libraries, pirates and even some scholars — is vying for position at authors’ expense." One of the chief advantages of writing mysteries is that you can actually make a living at it. Usually, mysteries are published in series. Once you have established an engaging main character and a perfect setting (according to Bowker, Americans like their mysteries set in “the misty bogs of Scotland and London’s Trafalgar Square” – but New York or Rome will do in a pinch) you are in business forever. Because human beings are hunters at heart, there is an insatiable demand for whodunnits. Roughly 48% of those who purchased novels last year bought mysteries. Whether you are just starting your career as a mystery writer, or have a book or two under your belt, these should be the top sites to put on your “favorites” list. 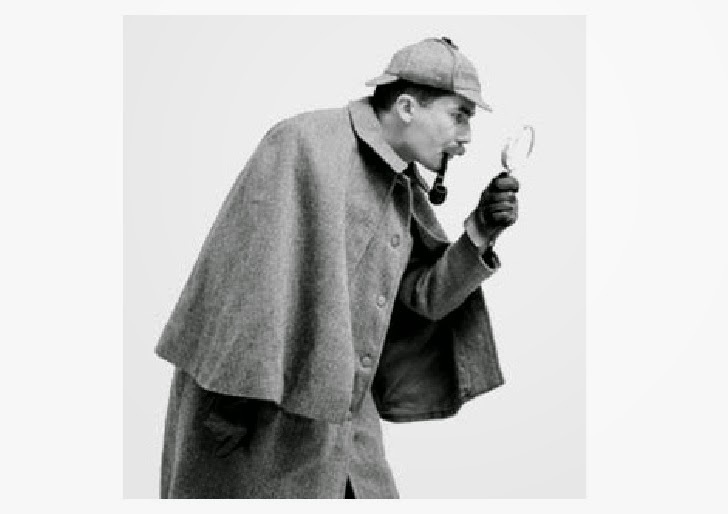 The Mystery Writers Forum is a little peculiar looking, but it is the most useful site I've found for researching a mystery or crime novel. Some of the goodies you will find on this site are: forensics (everything from fingerprints to poison), handwriting analysis, law links to law libraries, journals and internet resources, organizations, police procedure, DNA analysis, print publishers, ebook publishers, short story publishers, writing resources, and a long list of review sites. You can even consult a cop (for a fee) if you want firsthand information from someone in the trenches. Special feature: The “Find a Death” link will take you to a site listing the deaths of celebrities – always useful fodder for a crime novel. Sadly, the link to the Mafia home page is broken. This site lists over 4,100 authors, with chronological lists of their books (over 46,000 titles), both series (4,700+) and non-series, which you can search alphabetically or through specialized indexes: diversity, historical, genre, job, and location. The site also features a comprehensive list of mystery/thriller awards with archives going back to 1988. New hardcover, paperback, and audio book releases are listed by the month, which makes this is a great resource for researching your competition. Stop You’re Killing Me also hosts giveaways. This is a great place to have your book reviewed! Sisters in Crime listserv, including special guests on "Mentor Mondays"
publishing world, the latest industry trends, and, of course, great tips from top mystery writers. Mystery Writers of America is the leading association for professional crime writers in the United States. Founded in 1945, MWA presents the Edgar® Awards, widely acknowledged to be the most prestigious awards in the genre. Membership is open to professional writers in the crime/mystery/suspense field whose work has been published or produced in the U.S., and who reside in the U.S. (special memberships are offered to those living abroad); agents, attorneys, booksellers, editors, reviewers, librarians, journalists, and publicists. Dues for all categories of membership are $95.00 per year. The MWA website features an extensive list of author newsletters, author blogs, and an extremely useful list of over 150 approved publishers (including periodicals and ezines). There are two ITW membership classes, Active membership for commercially published writers, and Associate membership for industry professionals, non-commercially published writers, and others. ITW is an honorary organization that does not charge membership dues for qualified, active members. Membership is free. Instead of charging dues, ITW asks its members for their volunteer work, their effort on behalf of fellow writers, and their time and energy supporting reading and literacy. Marketing and promoting your work to over 12,000 readers, bookstore owners, librarians, reviewers, and other thriller fans through THE BIG THRILL monthly webzine. The opportunity to participate in successful ITW thriller collections. Previous bestselling projects include THRILLER ANTHOLOGY and the award-winning CHOPIN MANUSCRIPT audio book. Recently published projects include THRILLER ANTHOLOGY 2, FIRST THRILLS, WATCHLIST, COPPER BRACELET, and FEAR (YA Anthology). Opportunities to participate in exclusive strategic relationships with Amazon.com, Audible.com, and other author-oriented websites. Many opportunities for midlist authors to advance their careers through special programs, signings, events, free promotions, publicity, and advertising, networking, and participation in anthologies. Crimespree Magazine - a recently updated website has given Crimespree a sleek new look. Founded in 2004, Crimespree is an award-winning print magazine that covers all aspects of crime fiction, including books, movies, DVDs, comics and more. The Criminal Element - "Murder. Mystery. Mahem. Boiled daily." Criminal Element is a community website featuring daily content for fans of the crime and mystery genres in all of their forms. The site features original short stories and excerpts from upcoming crime and mystery novels along with daily blog articles. Article first published as Random House Opens Its Doors to Self-Published Authors, Perhaps on Blogcritics. 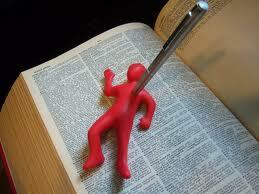 With a few famous exceptions, self-publishing, aka “vanity” publishing, has always been the kiss of death for writers. For aspiring writers hoping to take a seat in the hallowed halls of authordom, launching a novel with a self-published imprimatur was almost like having a scarlet A stitched onto your bodice – as far as the major houses were concerned. Then, along came Fifty Shades of Grey, originally published as an ebook by an obscure “virtual” publisher in Australia. Within a year, Amazon announced that it had sold more copies of Fifty Shades than Harry Potter. The publishing world was shaken. An ebook, fan fiction no less, had outsold the top-grossing series of all time. Random House, still smarting from having turned down J.K. Rowling, leapt to its metaphorical feet and did the unthinkable. It picked up a self-published ebook. This was a first for the world’s largest publisher, an opening of doors that had, up until now, been almost impossible to enter. It was hailed as a turnaround for the industry. But was it? Random House’s sudden epiphany - “there’s gold in them thar hills!” - was followed by yet another Eureka moment. Anybody can sell electronic books! 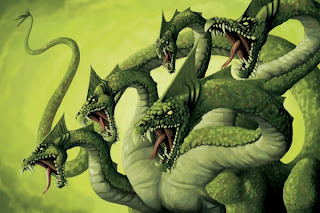 Random House immediately threw its hat into the ring, and started its own digital imprints: Alibi (mystery), Loveswept (romance), Flirt (for “New Adults,” whoever they are), and Hydra, a sci-fi imprint aptly named after a multi-headed reptile which was so poisonous even its tracks were deadly. Notwithstanding the ominous association with Greek monsters, Random House held out the biggest carrot of all time: Authors could submit their works, even those “previously published,” directly to Random House, thus bypassing the almost insurmountable hurdle of snaring an agent. Naturally, there was a catch – or two. The first catch was that authors would have to bear the costs of publication. This is also true for self-published authors, though now those costs would be exclusively determined by Random House. The second was that instead of receiving the traditional advance against publication, there would be “profit sharing.” The publisher and author would split revenues 50/50. As it turns out, “profit sharing” is simply a rebranding of the Subsidiary Rights clause of the standard Random House contract, in which proceeds of electronic books, audiobooks, translations, etc. are divided equally between publisher and author. In short, by removing up-front payments to the author, while simultaneously eliminating all of its own expenses, Random House was imitating a vanity press. But, unlike vanity houses, they would take half of the profits. Random House was hoping nobody could add. Needless to say, there are serious ramifications from being blacklisted by sci-fi’s largest and most influential writer’s association. Random House was compelled to make an immediate rebuttal. The opening of this letter precisely mimics the simulated regret that politically correct parents employ when punishing their wayward children: We like you, but we don’t like what you did. As a disciplinary device, this letter was nothing short of brilliant. It hit every aspiring author’s weak spots in a way that nobody could resist. But Random House has had plenty of practice at this game. These tactics are the stock-in-trade of publishing houses: shining promises, followed by intimidating jargon, followed by incomprehensible terms. The day has been won by organized labor, but in reality nothing has changed. Authors still provide the raw materials (for a small percentage), and publishers provide the finished goods for the bulk of the profit. Whether it takes on a new guise, sports a new brand, or appears to adopt a new format, The thing that hath been, it is that which shall be; and that which is done is that which shall be done: and there is no new thing under the sun.